Gingerbread begins its story around 1500 BC in ancient Egypt. Honeycakes were found in the tombs of the pharaohs along with written references to small bits of spiced honeybread. According to the mythologies of the Egyptian, Greek, Roman and Germanic peoples, honey was a gift of the gods with the power to banish demons, to heal and to give life. Gingerbread, as we know it today, was first found in the Belgian city of Dinant, then adopted and modified by the people of Aachen, Germany (hence the name Aachener Printen). It was later altered even further in the Franconian convents. The nuns baked the cookies for dessert. Peppercakes, as gingerbread is still referred to in some parts of Germany, got its first mention in 1296 in the city of Ulm. At the time, all spices foreign to the region were denoted as pepper. Because spices necessary in the manufacture of gingerbread were not regional, often expensive and hard to find, bakeries were established where trade routes crossed. Ulm, Cologne, Aachen, Basel and Munich are mentioned time and again in historical documentation. The gingerbread common to St. Wolfgang was first made in the 14th century and was a snack the pilgrims of those days enjoyed on their difficult journeys. The definitive gingerbread metropolis was the grand city of Nuremberg, surrounded by forests with large numbers of beehives. The city’s gingerbread bakers found themselves directly at the well of sweet honey. The written form of the word “lebkuchen” (which we typically refer to as gingerbread) first appears in Franconian writing in 1409. Whether the term “lebkuchen” is derived from the German “Laib,” meaning loaf, or from “Labekuchen,” referring to a type of refreshing snack, there is no consensus among historians. Considering the language of the convent, the Latin “libum,” meaning flat bread is also a possibility. Each gingerbread baker had his own personal recipes. These are still well-kept secrets today, only passed onto family members. 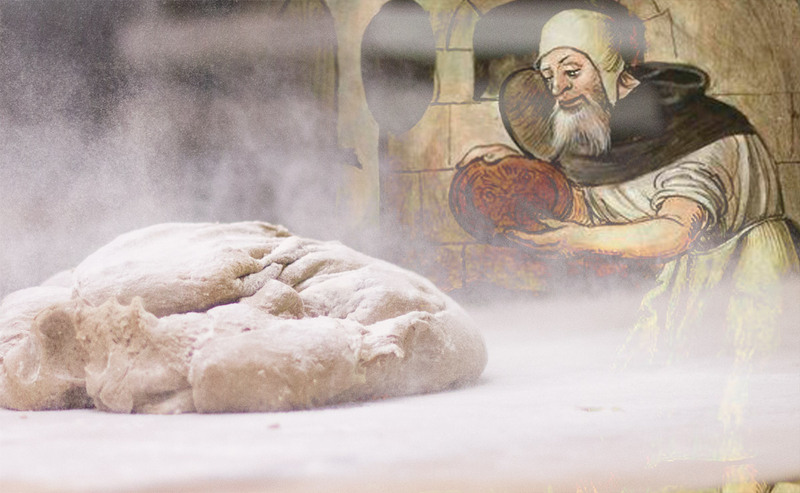 Over the centuries, baking procedures has been adapted along with the recipes. In order to preserve the distinctive taste, premium quality and integrity of the product, strict standards have been put into place which define the process of gingerbread making. Today, we can not imagine a Christmas without gingerbread. Regardless of the many variations and regional distinctions, gingerbread remains the standard.